Beautiful ranch home in Stonewyck, a subdivision of gorgeous, upscale homes. 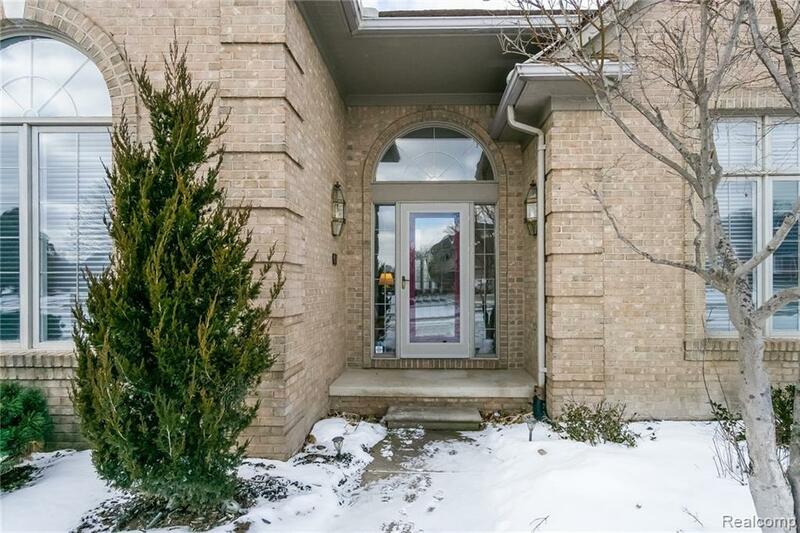 Entry foyer, great room with gas fireplace, formal dining room, and master bedroom all have 12 foot ceilings and large windows. Home features include large kitchen with granite countertops, stainless steel appliances, and a carousel breakfast nook. 3 bedrooms, including master with walk in closet, master bath with double vanities with sinks, jetted tub, and separate shower, main bathroom, with large vanity and tub with shower, powder room with vanity. laundry room. Finished basement has 28' x 40' open space plus 3 piece bath, storage rooms, and complete kitchen. Located on a cul de sac, .67 acre lot to woods, has brick paver patio, 2 car, side entry garage. Pretty landscaping including many trees and shrubs. Sprinkler stystem with its own well. View Stonewyck Lake from the front yard. 3 blocks to Stony Creek Metropark or Shelby Township bike trail. South of 26 Mile, east of Dequindre. Unparsed Address 3367 Stonewyck Ct.